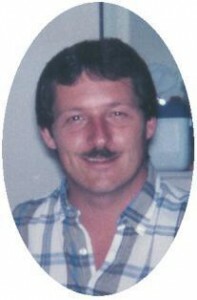 Steven E. Puch, 44, died February 6, 2006 in Sparta, Tennessee. He was born January 17, 1962 in Port Washington To Anton “Tony” and Amanda Maceil Puch. He graduated Port Washington High School in 1980 and moved to Tennessee in 1983. He was a manager at Moeller Manufacturing, enjoyed hunting and fishing. Steven is survived by his wife Lisa of Sparta, Tennessee and two children Steven A. Puch of Wisconsin and Samantha Puch of Sparta, Tennessee. Further survived by his father Tony Puch of the Town of Port Washington, brothers Kevin (Debra) Puch of Key Largo, Florida and Jerry (Donna) Puch of Gibbsville, Wisconsin, nieces, nephews, other relatives and friends. Preceded in death by his infant brother Daniel and infant sister Beverly.